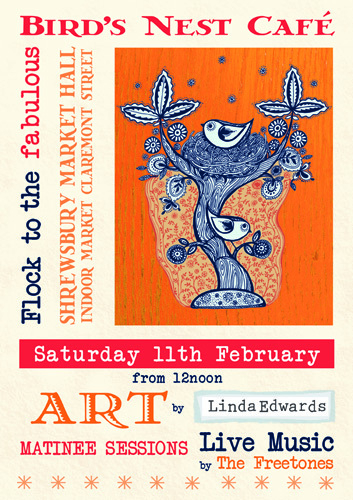 Come along to the lovely Bird's Nest Café in Shrewsbury's Indoor Market on Saturday for great food and coffee, live music and a chance to see some of my new art prints. Thanks to Aaron and Victor for a fabulous venue and a lot of fun. The market is Shrewsbury's best kept secret and one of my favourite places in town.